Prolific St Leonards-on-Sea shoplifter John Nicholas William Larkin has been jailed for 180 days - six months - and made the subject of a criminal behaviour order for two years. 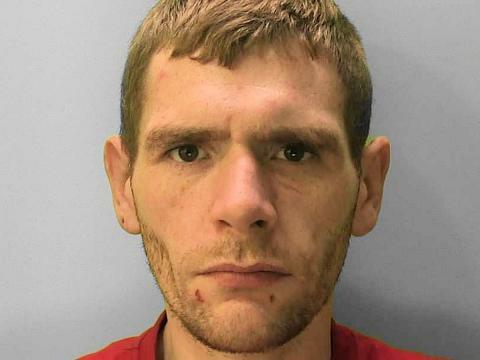 Sentence was imposed by Hastings magistrates after Larkin, aged 32, unemployed, of Willingdon Way, St Leonards-on-Sea, appeared before them and they heard how he threatened shop staff with needles infected with Hepatitis B if they approached him. 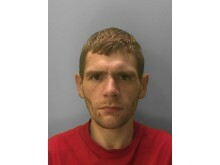 Larkin pleaded guilty to numerous thefts, including stealing five cosmetic gift packs from Morrisons supermarket, Hargreaves Road, Eastbourne, on 27 December 2018; stealing meat and alcohol worth £136.5 from Aldi, Lottbridge Drove, Eastbourne, on the same day; stealing six bottles of whisky worth £130 from Asda, Battle Road, St Leonards, on 26 December; stealing 11 bottles of Ariel Gel worth £56 from the Co-Op, Devonshire Road, Bexhill-on-Sea on 2 December, and being concerned with others stole nine tins of coffee worth £45 from the Co-Op, Western Road, Bexhill, on the same day. Larkin also admitted assaulting Glen Birch at Morrisons, Eastbourne, on 27 December; assaulting Fabio Defraitus at Aldi, Eastbourne, the same day; assaulting Paul Bell at Asda, St Leonards, on 26 December; causing £200 damage to a door lock at Hastings Law Courts on 2 July 2018; threatening Michael Borrer at Hastings Law Courts on 7 July; and failing to surrender to custody at Hastings Law Courts on 18 December. The criminal behaviour order against Larkin prohibits him from possessing any needles or pointed objects in public for two years. He was also ordered to pay a victim surcharge of £115. His guilty pleas were taken into account when imposing sentence.